Dhamangaon Education Society's College of Engineering and Technology (DESCET) was established in 2009. It is committed to impart quality education & training leading to various professional degrees and aims to be a global Institution through continual improvement. It is situated in Amrawati, Maharashtra. The College is having a world class facility, focused primarily on quality Technical Education with cutting edge sophisticated technology & highly skilled teaching staff. E-Zest Software Solution Pvt. Ltd. The boys' hostel is located at the rear end of the college while the girls' hostel is situated inside college campus. There is a hostel building for boys' with a capacity to accommodate around 100 students. 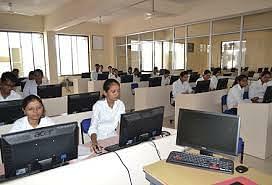 Institute has around 200 Computers connected through Internet. The entire Institute is connected through campus wide networking. Entire campus is Wi-Fi. It connects all the departments to common servers.